It was on this day, July 20, in 1969, that the Apollo 11 astronauts landed on the moon and Neil Armstrong took his well-known small step. 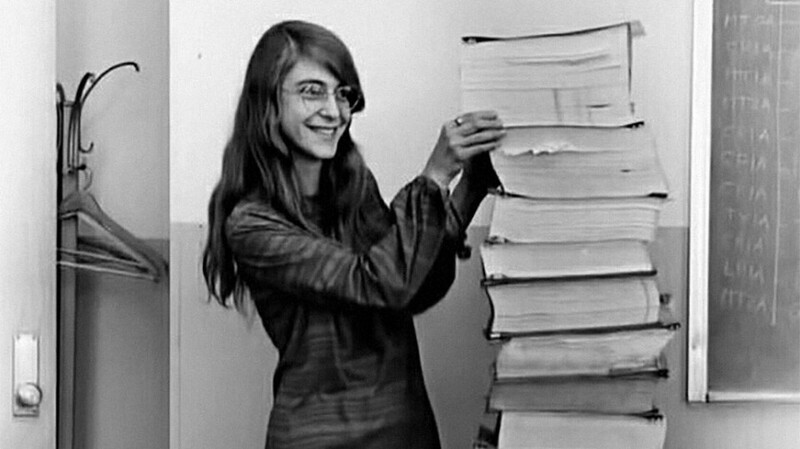 Everybody on Earth celebrated the one small step, though few were more comforted than Margaret Hamilton. Margaret Hamilton tells TIME magazine “I remember thinking, Oh my God, it worked. I was so happy. But I was more happy about it working than about the fact that we landed.” The “it” that directed this mission was Apollo 11’s on-board flight software, which Hamilton, as member of the MIT group working with NASA, led the effort to build. There was no assurance at all that things would play out so efficiently. Actually, just before the lunar landing was thought to happen, alarms went off signifying that there wasn’t enough room on the computer for the landing software to work efficiently. Turns out a radar was directing unnecessary data to the computer, overfilling it with extra information. The work that Hamilton had done assisted in enabling the computer to work out which of the several processes it had to do was most important. Margaret Hamilton says“It got rid of the lesser priority jobs and kept the higher priority jobs, which included the landing functions,” That fix gave NASA the assurance to go ahead with the historic moon landing. Hamilton was later given NASA’s Exceptional Space Act Award for her work on those Apollo systems. (She’s also recognized with creating the term “software engineering.”) That she was effective in the pre-women’s lib era in a field that remains hard for women to crack has helped revive concern in her career: Hamilton attained a sort of Internet fame lately when the photo above made the rounds.